They have excuses as to why they can’t serve or they don’t want to serve because they want recognition and titles. 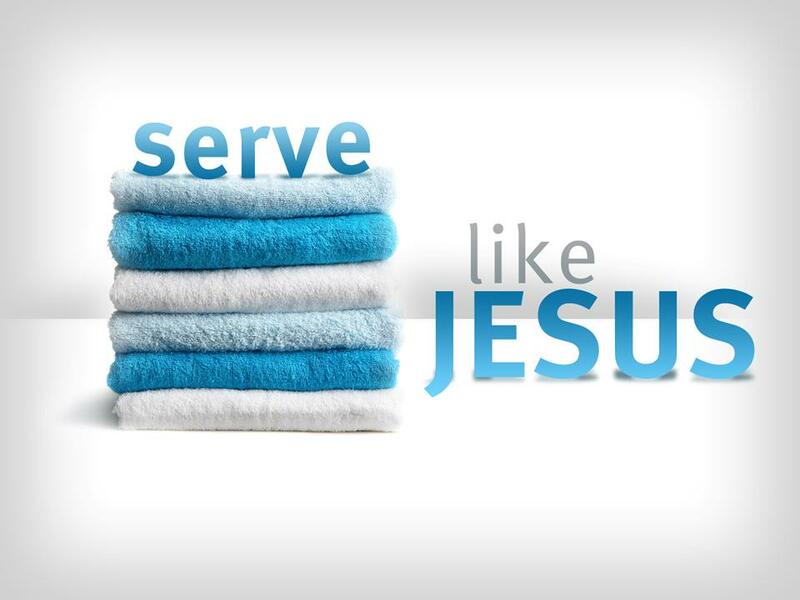 That’s why the writer didn’t just say serve, but he said “Serve the Lord.” What does it mean to “serve the Lord?” Some view serving the Lord in a restricted manner; to serve the Lord is to do church-related work. They wrongly divide life into two categories, the sacred and the secular. The Christian should view all of life as spiritual. All work, whether in the church or in the ‘secular’ workplace, is spiritual in nature. So he goes on and says “Serve the Lord with Gladness.” This is when a lot of us say uh’oh. We will serve but how many serve the Lord with gladness? As a matter of fact the question should be asked what is it to serve the Lord with gladness? Serving the Lord with gladness describes the manner in which the people of God enjoy themselves as they live out their lives for God’s glory in God’s presence. Eph 6:5 Servants, be obedient to them that are your masters according to the flesh, with fear and trembling, in singleness of your heart, as unto Christ; 6 Not with eyeservice, as menpleasers; but as the servants of Christ, doing the will of God from the heart; 7 With good will doing service, as to the Lord, and not to men: Colossians 3:23 And whatsoever ye do, do it heartily, as to the Lord, and not unto men; So let’s talk about glad service. In the first place serving the Lord with Gladness is very rare. Look at the faces of those who profess to serve God: I heard a story about a little boy who had just become a Christian and sat on a bench next to an old man who looked somber, grave and gloomy. The little boy said to the man, “Sir, do you need to get saved?” The man said abruptly, “I’ll tell you I’ve been a deacon in this church for over 30 years and then Chairman of the Deacons for 15 years.” The little boy responded, “Sir, it don’t matter what you’ve done, Jesus loves you and He’ll still save you!” There was another story about two farmers. One was a pessimist, the other an optimist. The optimist would say, “Wonderful sunshine.” The pessimist would respond, “Yes, but I’m afraid it’s going to scorch the crops.” The optimist would say, “Fine rain.” The pessimist would respond, “yes, but I’m afraid we’re going to have a flood.” One day the optimist said to the pessimist, “Have you seen my new bird dog? He’s the finest money can buy.” The pessimist said, “You mean that mutt I saw penned up behind your house. Didn’t look like much to me.” The two went hunting with the dog the next day. They shot some ducks. The ducks landed in the pond. The optimist ordered his dog to get the ducks. The dog obediently responded and instead of swimming in the water the dog walked on top of the water, retrieved the ducks, and walked back on top of the water with the ducks. The optimist turned to his friend and said, “Now, what do you think of that?” The pessimist replied, “Hmm, he can’t swim can he?” Sometimes we leave the service depressed instead of encouraged! We walk around as if we have been baptized in lemon juice. So why is this gladness so rare in the service of the Lord? Sin – There is a remedy for it. The presence of earthly sorrow – There is encouragement for it. Misunderstandings of the Bible! Must work our way to heaven! The Pharisees never really had joy! In the second place serving the Lord with Gladness is reasonable. The first question should be asked is why? The psalmist said in verse 3 “Know ye that the Lord he is God: it is he that hath made us, and not we ourselves; we are his people, and the sheep of his pasture.” You ought to know Him that “He is the Lord he is God: it is he that hath made us, and not we ourselves; we are his people, and the sheep of his pasture.” That’s why in verse 4 you ought to be able to “Enter into his gates with thanksgiving, and into his courts with praise: be thankful unto him, and bless his name” just on the merit that He is God and you’re not your own. The writer say’s wait a minute just in case you have an excuse to say that I don’t understand what you mean that He is God in verse 5 I will make His characteristics plain for you “For the Lord is good – Only those who personally know God can understand His goodness, his mercy is everlasting – Loving-(1 John 4:10) This is love: not that we loved God, but that he loved us and sent his Son as an atoning sacrifice for our sins, and his truth endureth to all generations – Faithful- Our God is a covenant-keeping God. Finally, Serving the Lord with Gladness yields an invitation. Look at verse 2 Serve the Lord with gladness : come before his presence with singing. You have to understand these statements. In the KJV a colon is used between them. A Colon is used before a list or an explanation that is preceded by a clause that can stand by itself. Think of the colon as a gate, inviting one to go on: The NIV has a Semi-Colon But with a semicolon there you get a pleasant little feeling of expectancy; there is more to come; read on; it will get clearer. Some of you have translations with explanation marks meaning the two statements are emphatic. Be that as it may, the two go together. Serving the Lord with Gladness is the key or invitation to be in His presence. Some of you may say well I’m already in His presence. I tend to agree but how are you in His presence? You see God is in our Presence because he is ever present but how many are really in His presence. Serving the Lord with Gladness is an invitation to go beyond the veil to enter in worship in the Holy of Holies. I’m not just talking about His presence I’m talking about His dwelling with you and you dwelling with Him, in you and with you. His Shekinah Glory! Why is this an invitation? Because you are know more like the Lord Jesus then when you serve with gladness. That’s why Paul said let this mind be in you which also is in Christ Jesus Who, being in very nature God, did not consider equality with God something to be used to his own advantage; rather, he made himself nothing by taking the very nature of a servant, being made in human likeness. And being found in appearance as a man, he humbled himself by becoming obedient to death—even death on a cross! Therefore God exalted him to the highest place and gave him the name that is above every name, that at the name of Jesus every knee should bow, in heaven and on earth and under the earth, and every tongue acknowledge that Jesus Christ is Lord, to the glory of God the Father.